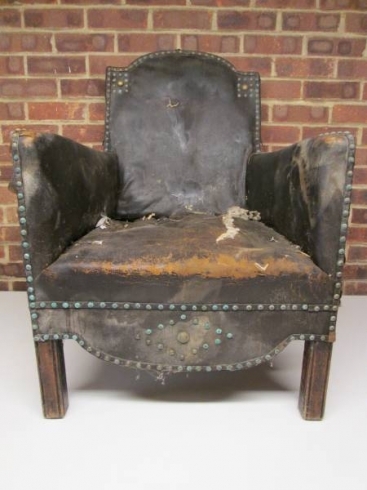 Once a very stylish black leather armchair with decorative nail studding. 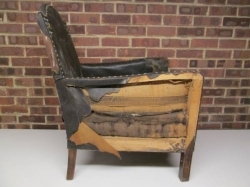 This quality armchair is just waiting for a full traditional restoration, with a new fabric or leather top cover. The joints will be re-glued, the legs French polished, new coconut fibre, horse hair and cotton felt padding. 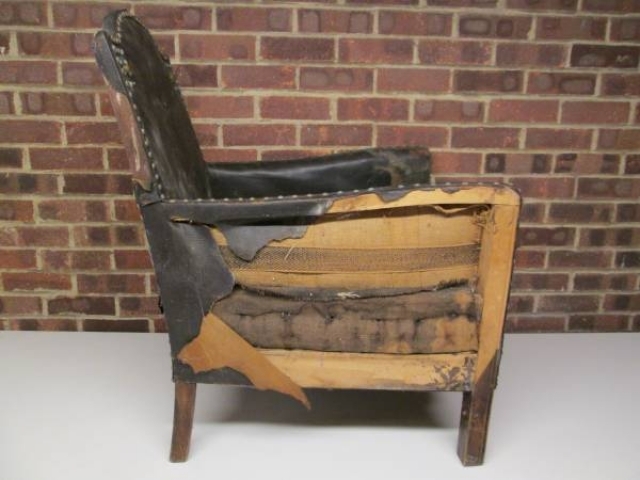 We have hundreds of leather and fabric choices at Chairs of Oxford. Please don't hesitate to book an appointment to view our massive range. Dimensions - height 90 cms, width 63.5 cms, depth 71 cms.